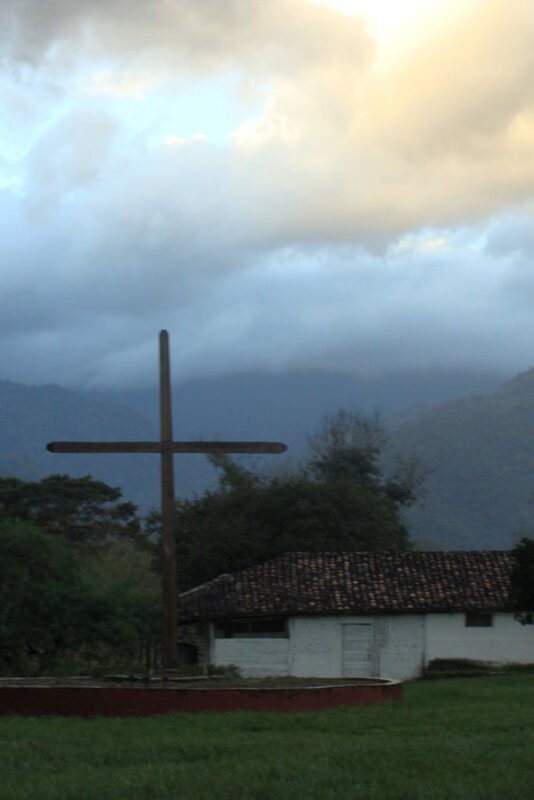 When doubting whether or not you are forgiven, turn your attention to the cross of Jesus. 1. Allow yourself to focus your meditation on the price Christ paid on the cross so you could personally be forgiven. 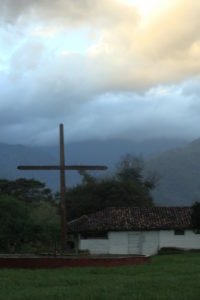 A beaten-beyond-recognition Christ hung on the cross. Beard ripped out, crown of thorns causing blood to gush down his face, His skin ripped off by a Cat of Nine Tails, small railroad spikes driven through the most sensitive part of the hand just below the palm and in His feet. I had to stop and hang onto my truck when I heard pastor Mark Driscoll talk about all of this in a recent podcast from Mars Hill Church because I became dizzy as the realization of the reality of the absolute beating Christ took for me. I did this to Him, yet He forgave me. He took my sin and paid the sacrifice for it all; then He forgave me. We cannot begin to grasp forgiveness until we recognize where forgiveness comes from. Forgiveness comes from the cross. On the cross as he was dying, Jesus prayed, “Father, forgive them for they do not know what they are doing.” (Luke 23:34, HCSB). We as Christians cannot forgive anyone who has wronged us for any reason if we do not understand from where forgiveness originates. Jesus taught His disciples to pray asking for forgiveness and forgiving others. But this idea of forgiveness for sin was rammed home to the disciples at the cross, and validated by the risen King. 2. Allow Christ to hold a conversation with you about His forgiveness for your sins like the conversation he held with Peter after the resurrection. No one knew the great need to be personally forgiven better than Peter. One morning after Jesus’ crucifixion and following resurrection the disciples were out fishing and Christ met them on the shore of the lake. As the disciples hauled their morning catch of fish ashore, Jesus had made breakfast. The elephant on the beach was Peter’s guilt and shame. I doubt Peter forgot any part of that conversation. I imagine that Peter used it as a sermon illustration and listeners never grew tired of hearing the words of Jesus. When the Lord of All speaks forgiveness to you, do you listen? How many times have you begged forgiveness before the Throne, but you don’t hear His voice? You continue to ask for forgiveness for sins already forgiven by God…yet you don’t take time to listen. Have you jumped up from your prayer time, announced forgiveness to that person …but you have no clue what Jesus Himself just said to you? Listen and you may hear: “Go, and from now on do not sin anymore.” (John 8:11b, HCSB). I promise you that you will not walk in forgiveness until you hear these words for yourself. When you do, then you will be able to forgive. Then you will be able to ask others for forgiveness needed for sins you have committed against them. Then you will be able to be like Peter and get back to the work of the Church. After you hear these words from the Savior, forgiving others seventy times seven will not seem impossible.